Tori Saylor out and about with her pack of dogs. 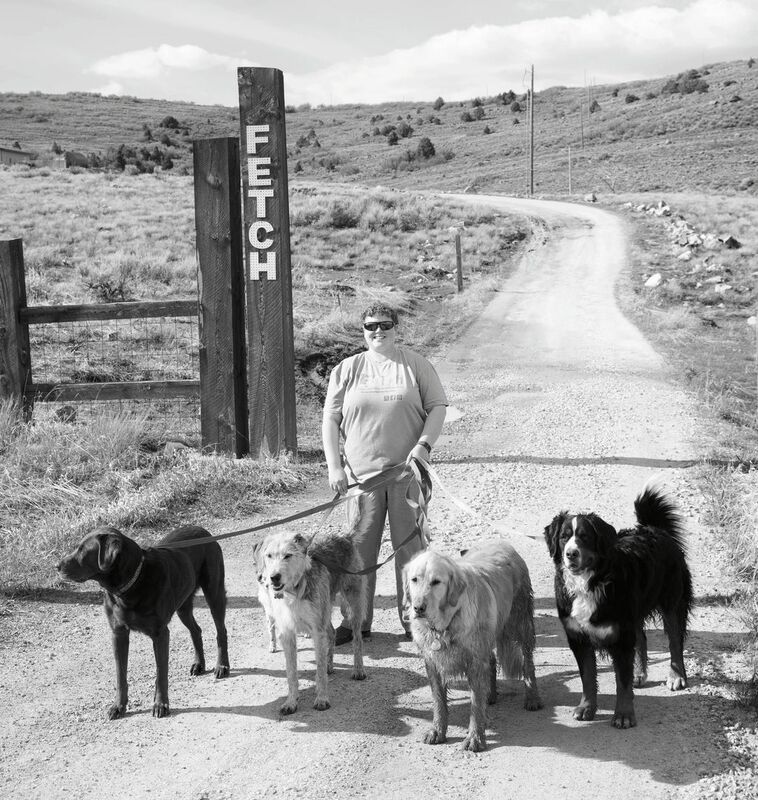 As Tori Saylor walks around her property east of Park City, three dogs stick to her heels. “For me, animals have always been my connection to the world,” she says. We enter a fenced compound and another 30 or so dogs of all sizes race to her, jumping with excitement. At 31, Tori has found her calling. She owns Fetch, a dog-sitting, boarding, and grooming business located on her parents’ 50-acre compound. Each morning three drivers head to Park City and, like school buses, make the rounds picking up dogs from owners who will be away all day. “It’s a better situation for the dog and the owner,” Tori says. “It’s important for dogs to be happy, get exercise, and keep their brains busy.” Tori; her mom, PJ; brother, Tony; and a hired groomer play with the dogs all day and then return them home just before the owners return in the evening.